Spottswood Companies acquired a 13-acre Key West Harbour marina facility on Stock Island, sources told The Real Deal. The firm paid $39.5 million for the mixed-use, wet/dry slip marina at 6000 Peninsular Drive. It includes six workforce and market rental apartments. The marina was initially listed in 2015 with a $50 million asking price, marketed as a development site for a hotel. It last sold for $30.5 million in 2006. Avison Young principal George Vail represented the seller, New York-based iStar. Completed in 2008, Key West Harbour features 99 wet slips, 375 indoor dry racks and 13 outdoor dry racks, in addition to the apartments. The Class A hurricane-rated marina also has a clubhouse with a restaurant and pool, event space for weddings and a private beach. Long overshadowed by Key West, Stock Island — which is immediately to the east — has housed a majority of Key West workers, boatyards and fish houses. In recent years, Stock Island has been attracting investors and developers. In July, Miami-based Integra Investments completed a $14 million assemblage of land to develop affordable housing on the island. In July 2017, Sunstone Hotel Investors, a California-based real estate investment trust, paid $175 million for the Oceans Edge Hotel and Marina. 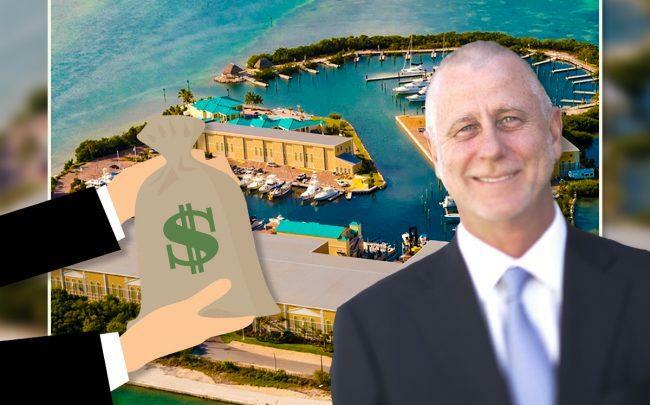 The sale amounted to $1 million per room for the Stock Island resort that was developed earlier that year by Pritam Singh of Singh Co.
Also In 2017, the $38 million, 100-room Perry Hotel Key West at Stock Island Marina opened. It was developed by Brad and Warren Weiser. Spottswood Companies develops and invests in various hotels and marinas primarily in the Florida Keys. Among its properties in Key West are the Key West Marriott, the Coconut Beach Resort, the Hyatt Beach House Resort, the Hyatt Sunset Harbor Resort, Simonton Center and Stock Island Shops, according to its website.